Jane Sample – Senior Sessions Leader, Business Development Manager | Jack B. Keenan Inc.
Jane Sample joined JBK, Inc. in 1994, as a Senior Sessions Leader. Jane’s focus is primary Instructional Designer on custom development projects and Senior Session Leader for many of the programs. Her extensive training experience allows her to create an environment where maximum learning occurs by encouraging discussions, application of concepts, and activities that are relevant to the learner’s business issues. 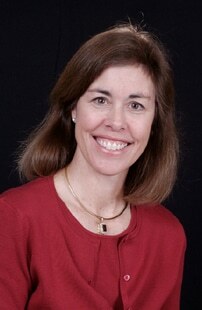 Jane brings over 25 years of experience in sales, sales management, marketing, and facilitation of training. As an independent training consultant, Jane has delivered sales, negotiation, leadership, interpersonal skills, presentation skills, and customer service courses to a variety of primarily high technology companies for the past 15 years. She has also taught courses for several training organizations and has presented and participated in many national and international sales conferences. Prior to training, Jane spent 10 years at Xerox in a variety of sales, sales management, and marketing positions. In sales, Jane had positions with both account and product responsibility. Her sales management responsibilities included revenue accountability as well as hiring, training, coaching, and counseling of employees. In the printer marketing division, Jane’s responsibilities included managing the success of marketing programs that required interfacing with engineering, product marketing, field sales, and major customers. Jane received numerous honors and awards for her performance in sales and sales management during her tenure at Xerox. Jane graduated with a B.A. degree in International Relations from the University of Southern California and received an award at graduation for her leadership, scholarship, and contribution to student life.